From time to time, wine writers come out with an article touting the wines of Ventoux, premised on estates turning out quality vintages in the appellation. Spot on: there exists a plentitude of quality. AOC Ventoux is the poor sister of the Côtes du Rhône. By this I mean that the Ventoux wines sell for less on average. Yet, and here is the game changer, Ventoux vintages offer some of the top quality / price ratios in the Southern Rhône. As an appellation, the Ventoux, once known as Côtes du Ventoux before 2008, seems more like a concept due to its expansive reach across 15,000 acres of varying terrains and micro-climates. There are three distinct regions in the AOC Ventoux: the basin of Malaucène east of Gigondas, the plains extending to the east from Carpentras, and an area southeast of Carpenters that borders the AOC Luberon in the northwest Luberon. The Ventoux has been known as the land of caves coopératives (wine co-ops). There are 16 coopératives that buy grapes directly from growers that account for about 73% of the appellation’s production. Ten years ago, this percentage was 80%. As Ms. Robinson notes, the higher elevation in the Ventoux, along with the winds flowing down from Mont Ventoux, contribute to lower nighttime temperatures. Thus, the growing season is longer with the harvest for the late-ripening Grenache a week to ten-days later in the Ventoux than at lower altitudes along the Rhône. Ms. Robinson lists the usual suspects, the top shelf wineries such as Château Pesquié and Domaine de Fondrèche. The Ventoux reds are Grenache-dominant blends. From the vast warm summers in the Vaucluse, I feel the flavors of these wines again. There was no reason to search elsewhere. Our cave: Saint-Jean du Barroux, Domaine Le Mur-Mur-Ium, Domaine du Tix, Olivier B, Domaine de Fondrèche, Clos de Trias and Domaine de Grand Jacquet. Some years ago, I had met the Englishman Malcolm Swan in Carpentras at the vernissage of an artist, a friend we had in common. I visited him soon after at his apartment at the Domaine des Anges where he was living in retirement. The winery is spread out on a hillside at 1200 feet near the village of Mormoiron, 50 miles northeast of Avignon. From the main building your eyes glide across country as flat as a playing field to the Olympian view of the southern flank of the majestic limestone-capped Mont Ventoux. Atop the hill above the property you make out the skeletal gray of a Chapel, the outline of Notre Dames des Anges from which the domaine takes its name. Mr. Swan had sold the winery to Gay McGuinness, of Kilkenny, Ireland, in 1989. Ciaràn Rooney, a Dublin native, was the manager and winemaker at that time. Subsequently, he left in 2011 and handed over the cellar keys to Florian Clave, his assistant. Malcolm Swan, a lover of opera, had a bold Celtic charm. He possessed a calm reverence for the art of winemaking one only achieves from intimate tending to and treating of the vines. There are stories one must tell, and keep on telling down the years. 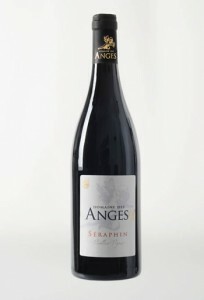 For Malcolm Swam, his pleasure was recounting his initial triumph when he came to buy the Domaine des Anges in 1973. It was in 1973 that the Ventoux earned the designation as an AOC (appellation d’origine contrôlée). At that time, Mr. Swan explained, the entire appellation sold their grapes to the caves coopératives. There were no estate-bottled wines carrying the name of the winery on the label. Malcolm Swan had other ideas. As a newcomer to the region, he declared that he was going to produce wines as an independent producer, vinifying his blends in his own cellar. The phone began ringing, incessantly. Their voices were scornful, menacing. He was threatened with physical damage to his vineyard. Wine growers treated him like an apostate, a traitor. Malcolm said it was useless to try to explain his motives. He did not let the danger of it all distract him. He was more concerned with producing fine wines than with being rejected. After all, he said, he was already a foreigner, a Brit. Today, there are more than 110 independent producers in the AOC Ventoux, offering great variety and quality. Malcolm Swan, an intrepid pioneer of Ventoux wine, passed away in September of this year. He was aged 89. 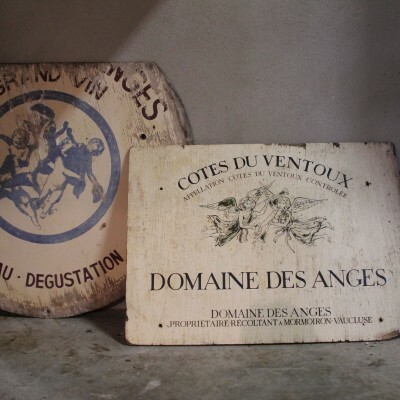 He had, always, the satisfaction of knowing, whatever the struggles, that he had made a distinguished name for himself and the Domaine des Anges. In his honor, someone should create an award in the Ventoux to celebrate new winemakers who demonstrate Malcolm’s vision and pluck.